The Moray Council had a street fund project going, to brighten up parts of Elgin. They employed us to build a new tree planter and wall section on Batchen Lane. 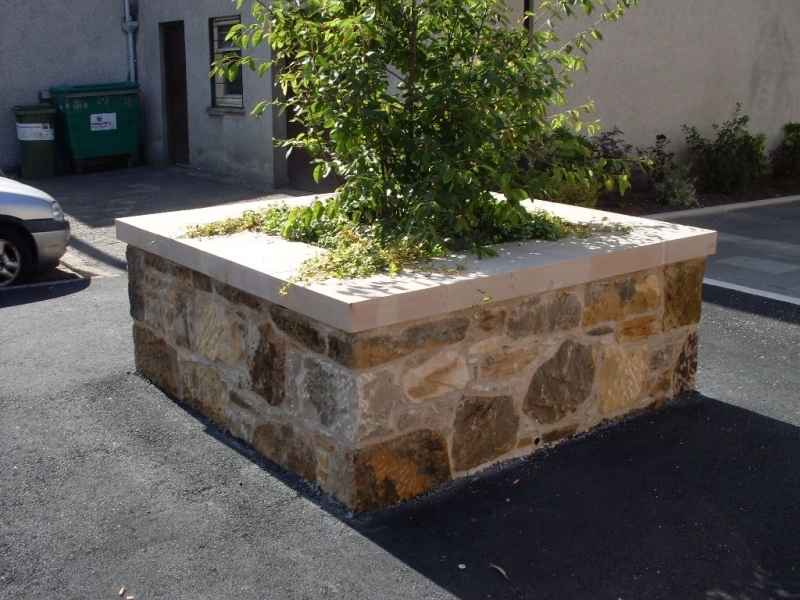 The wall and planter were built from reclaimed local sandstone rubble. They were cleaned up and built in a lime mortar. 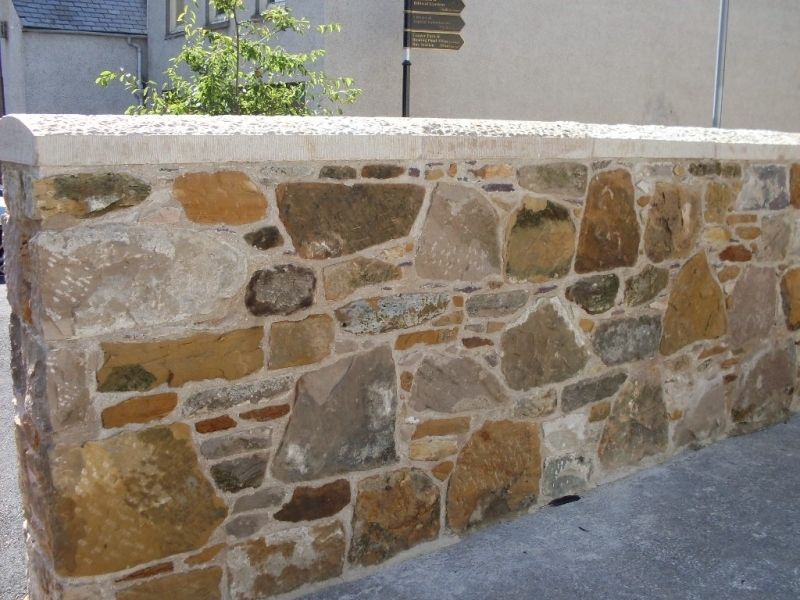 New clashach sandstone coping stones were laid on top, half round stugged on the wall and smooth ashlar on the planter.